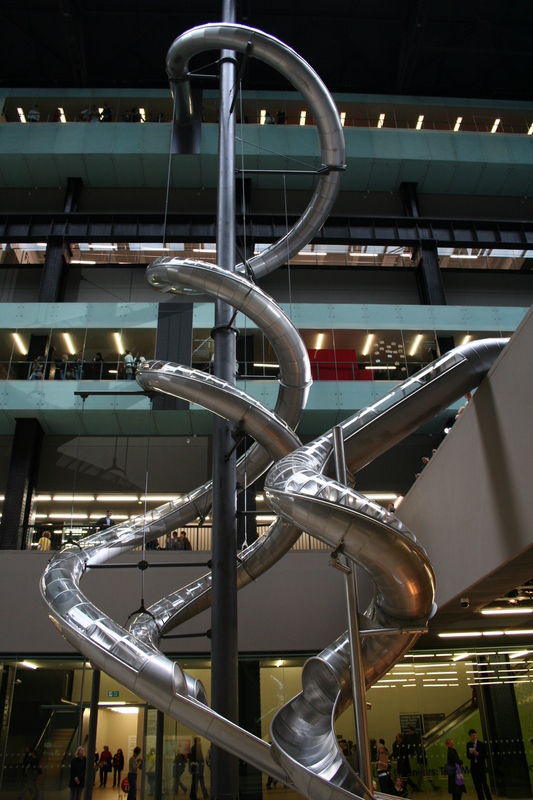 Carsten Höller is well known for playfully including his slide installations in major museums across the world. 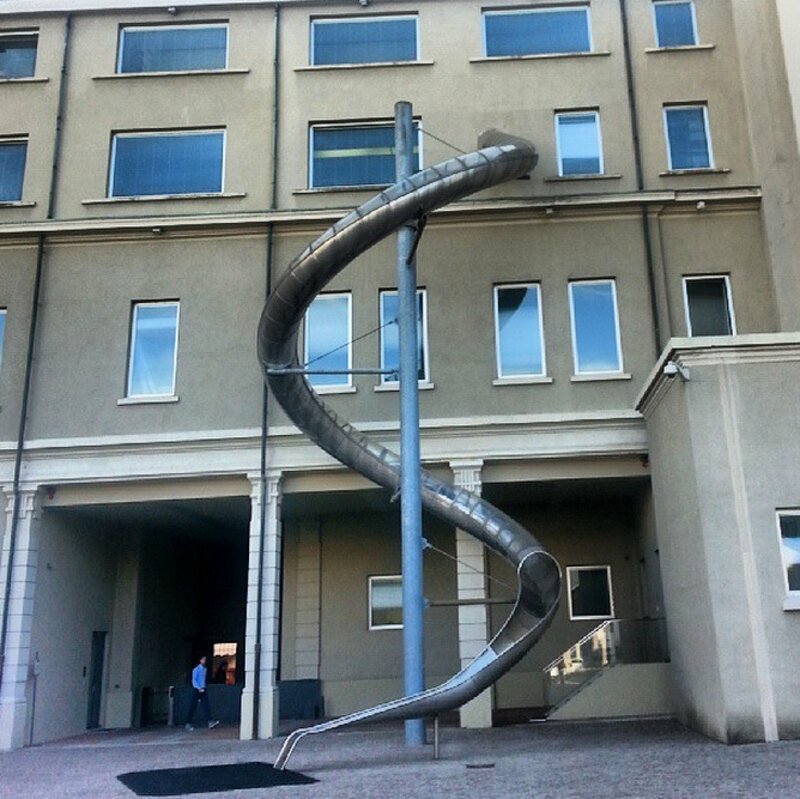 Höller, who is formerly a scientist with a degree in agronomy, is famous for repurposing components of the real world, such as slides, for art spaces. The majority of his works feature aesthetics that are relational, meaning that the projects created are inspired by the relationship that people have with their social contexts. 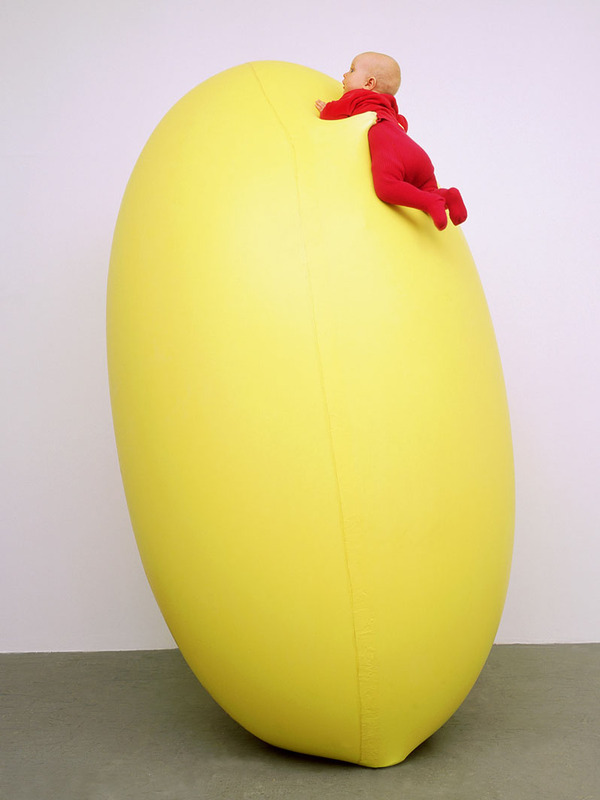 The end result of Höller’s incredible work is an experience that resembles part playground and part lab, which is a crowd pleaser. 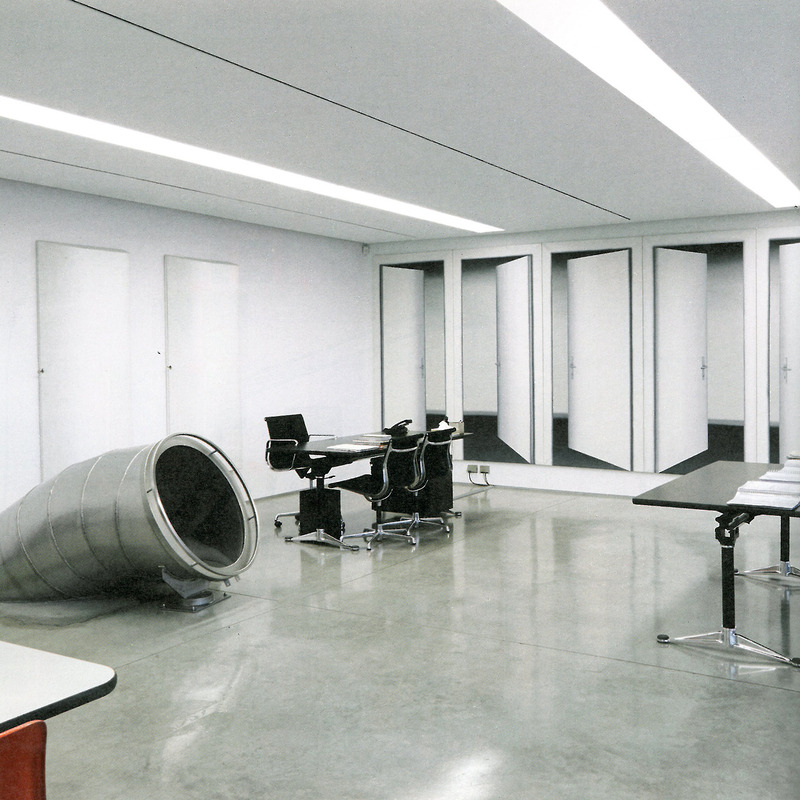 Höller stages quasi-scientific experiments that affect the audience’s state of perception; his slides cause participants to question their relationship with ordinary things that surround them, with other people around them and with themselves. As such, all of the slides are both playful and dissident, creating an experience which is enjoyable and unnerving. 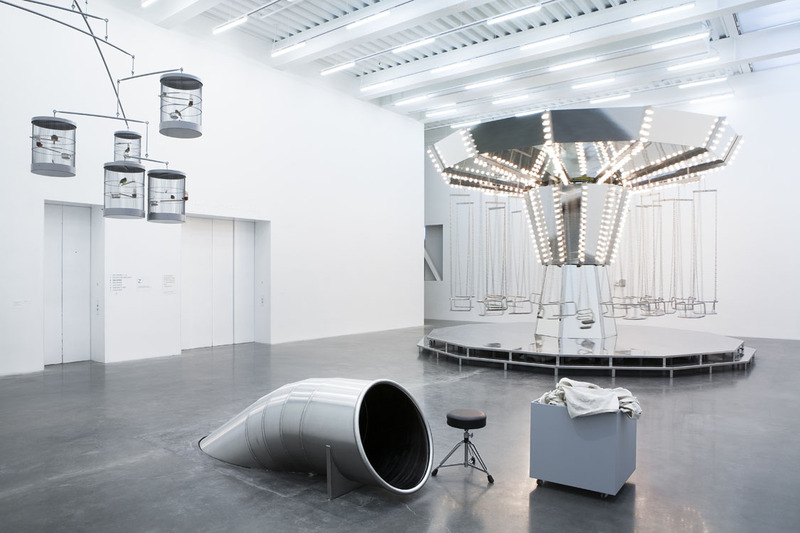 By opening up places that were traditionally considered to be serious, Carsten Höller creates an anarchic and utopian environment that enables people to relate to each other and the art situated in the gallery freely. 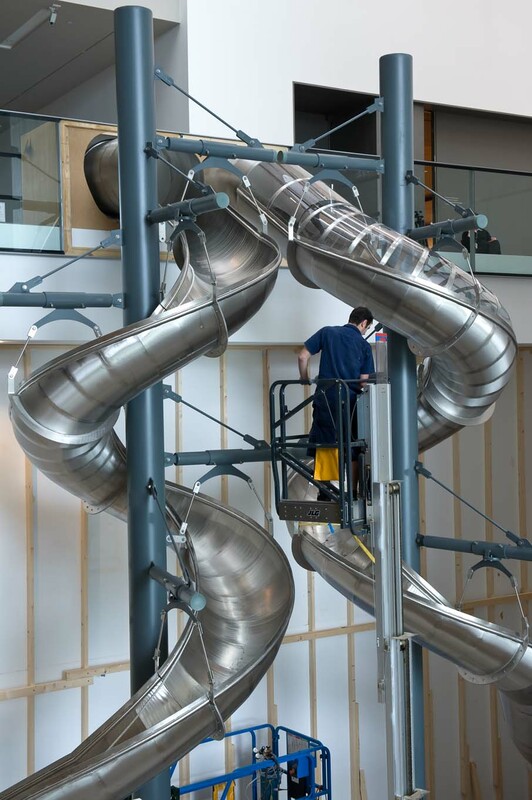 Because of the fascinating slides, people are reborn and are able to create new human relations in a space that suspends social order. 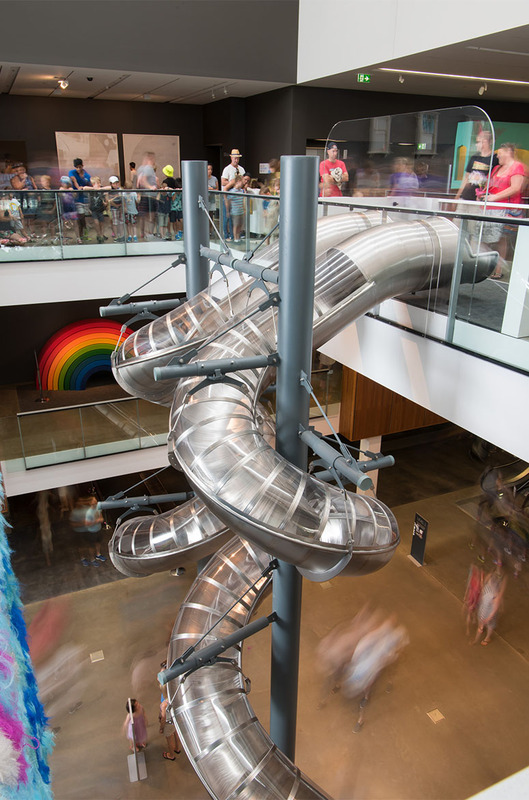 Undoubtedly, the experience of sliding down the humongous pieces of art is exhilarating in itself; however, audiences do not have to grasp the significance of the slides by sliding down them. 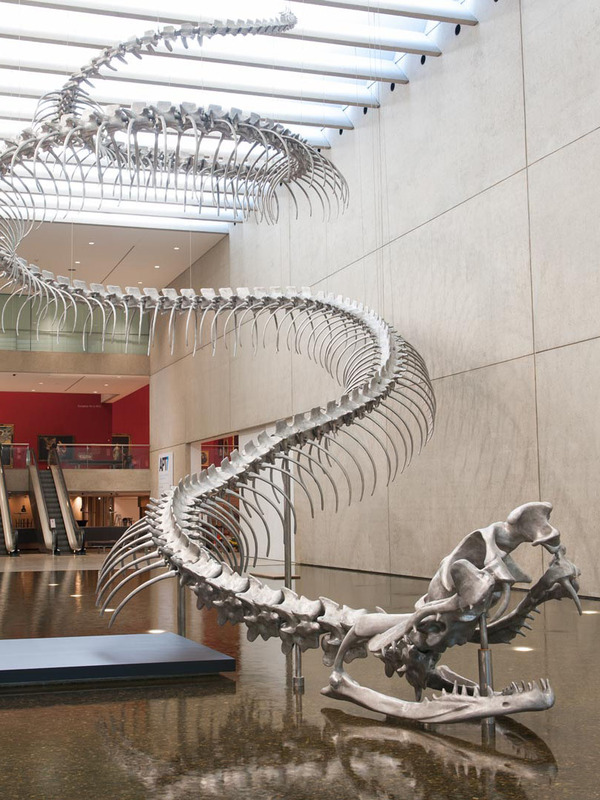 His body of work is popular with audiences and attracts large groups from different parts of the world. Visitors seem to delight in his artworks because it allows them to experience art that can be looked at and touched. The works created are all encompassing, meaning that it is also possible to experience the pieces through other attendees. Alternatively, the pieces can also be enjoyed through contemplation or from an outsider’s view. Posted on August 17, 2017	in the category Architecture, Sculpture and tagged Art in Australia, Art in Italy, Art in London, Art in Milan, Brisbane Gallery of Modern Art, Carsten Höller, Croatia, Hayward Gallery, interactive, Miuccia Prada, Museum of Contemporary Art Zagreb, New Museum, Prada, Tate Modern, Turbine Hall, Vitra, Vitra Design Museum, Weil am Rhein. 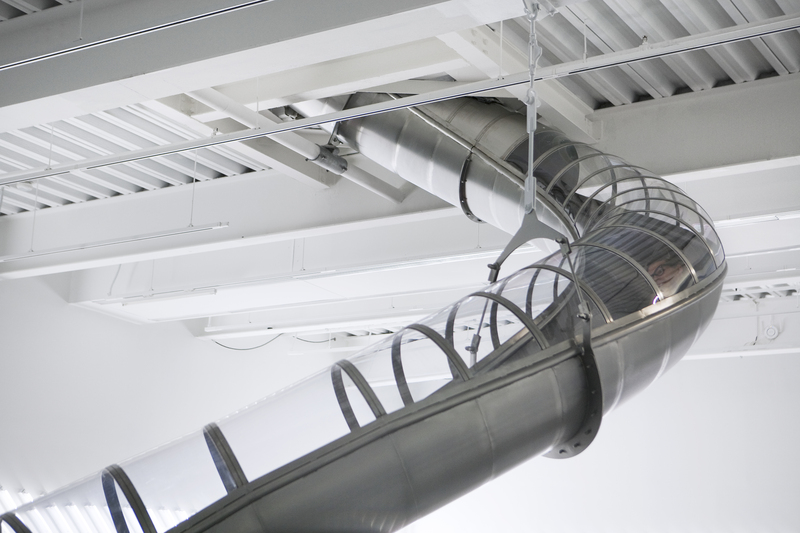 2 Responses to "Carsten Höller’s slides: A fun way to experience museums"